A group exercise class is one of the best ways to work out and get healthy—especially if you hate working out! Some people just aren’t fond of keeping track of sets and reps, doing sit-ups, or lifting weights. Because of this, they may feel like there aren’t a lot of exercise options for them. Fortunately, exciting fitness classes at Fitness First Thailand can easily solve that problem. Fitness classes are perfect for people who want to lose weight and get healthy through fun, exciting ways that deviate from the typical, rigid forms of working out. These often include dancing, total body conditioning, martial arts, or circuit training. The class structure also helps most people follow through with the exercise, as the presence of other students who are around their fitness level can help nullify any concerns about image or skill. Pilates is a deep, relaxing cardio exercise that is all about mind-body control. Similar to yoga, Pilates puts a lot of emphasis on proper breathing and precise form. It’s primarily floor work that builds flexibility, fine muscle control, and core strength. Some benefits of Pilates include healthy muscle conditioning, improved flexibility, balance, and alleviated muscle pain (especially the back). 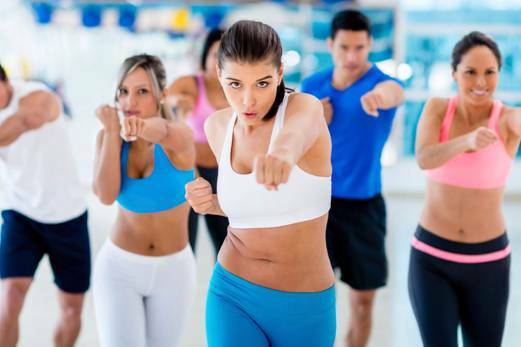 Body Combat is a fiercely energetic, high-intensity cardio workout that draws moves from multiple martial arts forms, including karate, kung fu, boxing, muaythai, and taekwondo. Usually set to upbeat music, body combat mixes different strikes, kicks, and punches to work every muscle of the body. Needless to say, Body Combat is an excellent calorie-torcher. Calisthenics are essentially a gymnastic-type of cardio workout that focuses on building and toning muscles through lifting body weight. The beauty of this is that no special equipment is required. Because of this, calisthenics can be done in the comfort of your own home (once you’re experienced and knowledgeable enough, of course). These exercises include lunges, pull-ups, sit-ups, squats, and other similar moves. The sets and repetitions are set to upbeat music, so it sometimes can feel like dancing rather than working out. A more modern take on Pilates, Piloxing mixes Pilates, boxing, and high-energy interval dancing to deliver a powerful, calorie-torching exercise that keeps you on your toes. Considerably one of your more intense options, Piloxing can enhance stamina, strength, and cardio endurance. It’s an efficient way to burn fat through constant, high-intensity movement from all three workouts, modified to keep things interesting and engaging.